Aamra Networks Limited IPO Lottery Result Published on 07 September 2017 and found here. Aamra Networks Limited IPO Lottery Result. Aamra Networks Limited subscription open from 06 August 2017 to 16 August 2017. Aamra Networks Limited IPO Lottery Result Published. Aamra Networks Limited IPO Lottery Result updated. Download Aamra Networks Limited IPO Lottery Result that will be published here. IPO or an Initial Public Offer (IPO) is the first sale of a stock by a private company to the public company. In this way, a company can increase money by issuing either debt or equity. IPO or Share market inauguration is a type of public offer in which shares of a company generally are sold to the predictable investors that in turn, sell to the general public by a securities exchange for the first time. Aamra Networks Limited IPO Lottery Result found here. 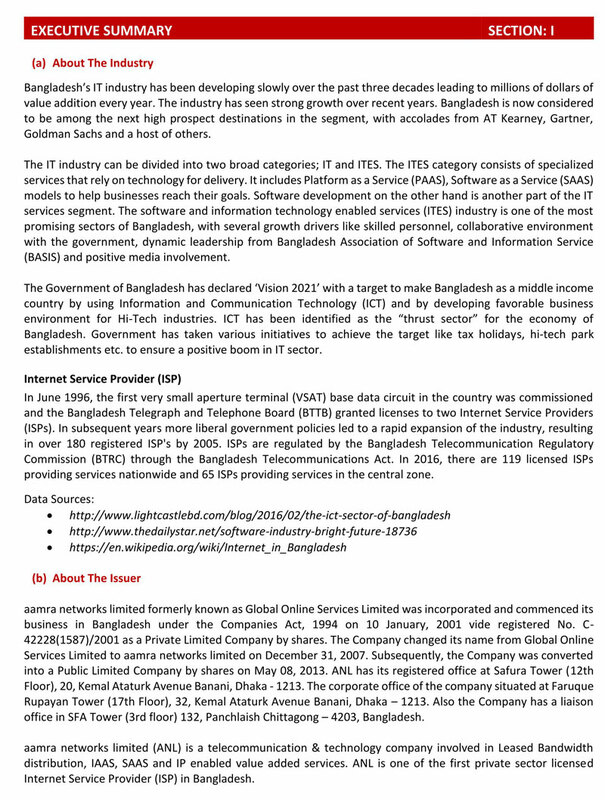 Bangladesh Securities and Exchange Commission (BSEC) has approved the initial public offering (IPO) of Aamra Networks Limited on 13 June 2017 at their 606th meeting. The company will raise over Tk 56 crore through Initial Public Offering (IPO), using book building method and with the IPO proceeds, the raised fund will be spent for BMRE, setting up data center and Wi-Fi Hotspot in different places of the country, bank loan payment, and IPO expenditures. According to its financial statement ended on December 31, 2015, net asset value is around Tk 22 and five-year weighted average earnings per share are Tk 2.52. LankaBangla Investments Limited working on behalf of the company’s issue manager. Aamra Networks Limited IPO Lottery Result has been published. 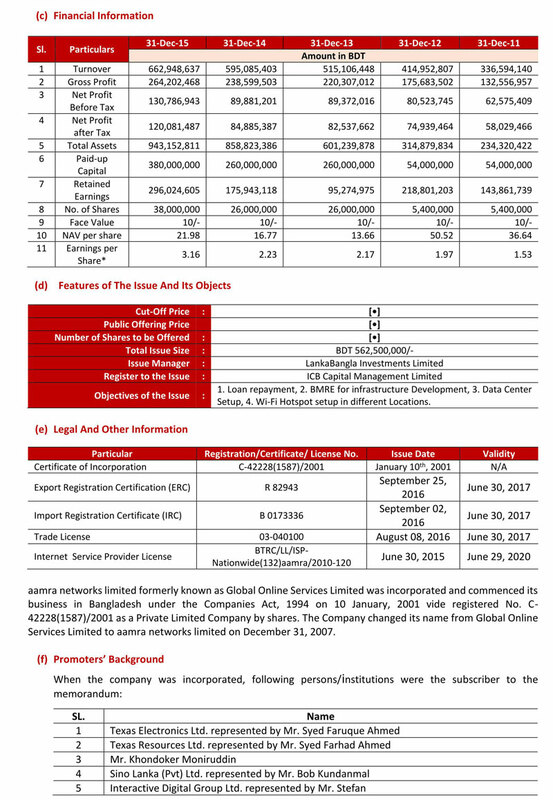 Download Aamra Networks Limited IPO Lottery Result from here. After ending of application of Initial Public Offer (IPO) from 06 August 2017 to 16 August 2017. Aamra Networks Limited IPO Lottery Result published today on Thursday, 07 September 2017. Place: Engineering Institute, Ramna, Dhaka at 10:30 A.M. See the Result below. Total Applied 18.07 Times, General Applied 25.46 Affected Applied 9.03 NRB Applied 4.75, MF Applied … and Intuition Applied … Times. according to the financial statement for the period ended on 31 December 2015. Issue Manager: LankaBangla Investments Limited have acted on behalf of the company’s issue manager. 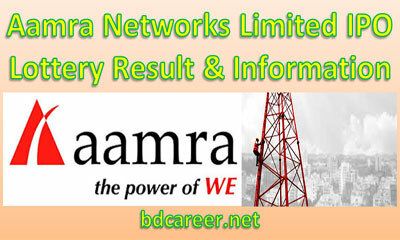 Aamra Networks Limited. Aamra is branded as one of the top industry leaders to deliver the latest technology and system solutions in the IT zone, garments and textile sector and the lifestyle sector. Our power lies in the apt ability of our empowered employees and the synergetic environment in which they work in.